Game Theory Group is a CED member and a 2013 Tech Venture Conference Demo Company. Vin McCaffrey, a former college basketball player at Lehigh (sorry to our Duke friends), knows first-hand the challenges of transitioning from student-athlete to post-college professional. Over the last six years, he has made it his mission to ease the transition for student-athletes while creating value for their future employers through his company Game Theory Group. Game Theory Group has been building and growing its business in Greenville, NC and yesterday released its latest product, Game Plan 3.0. A press release provided by Game Theory Group says the new release "has the ability to guide a student-athlete through the entire student-athlete continuum including the transition into college, academic and career development while in college, as well as transition into the workforce." The software includes five new assessment instruments (for a total of nine) and a new library of more than 50 learning modules. McCaffrey says the company's network of student-athletes is approaching 20,000, across nearly 40 athletic departments in the nation, up from 16 departments in 2013. Game Theory Group's employer solution Game Plan Pro helps match student-athletes with current entry-level openings at participating employers and has grown to 50 customers since its launch in December 2013. Part of CED's mission is to promote and celebrate NC's emerging companies and successes. Raising money, M&A deals and IPOs are great, but emerging companies have other successes to celebrate, as well. New products, meeting milestones, achieving customer acquisition goals are worth celebrating! 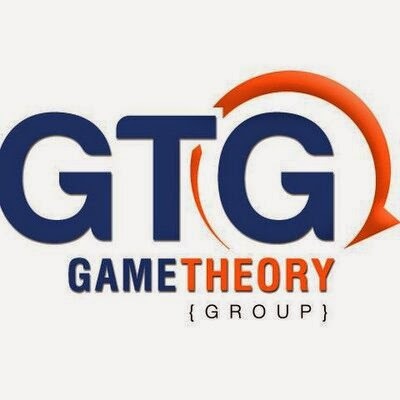 We want to congratulate Game Theory Group on their new product release and growth. We look forward to hearing more great things from this company!